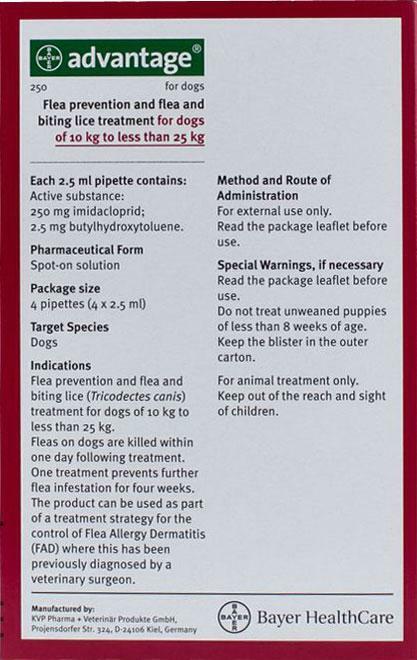 Advantage Red for dogs provides fast relief from fleas. It begins killing fleas and their larvae on your dog within 20 minutes of the first use. It is one of the only pet medications that can kill fleas on contact, not just when they bite. It continues this protection for an entire month after only one application. That means less itching for your dog, and less annoying scratch-a-thons to distract you and your family. So keep your dog’s tail wagging by stopping flea bites within 3 to 5 minutes of treatment and rest easy knowing you’ve treated your hound with the very best pet medicine on the market. Is this the equivalent of Advantix II ? No, it is not. Advantage only covers fleas. Advantix covers ticks and fleas. We only carry the original Advantix. You can call 855 908 4010. We would love to assist you.